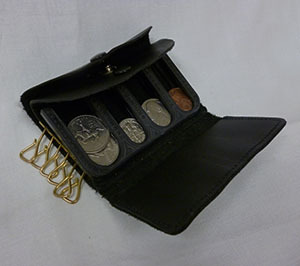 Pocket size leather key and coin holder. No more fumbling for the right change. Each coin has its own individual slot that holds up to four coins. There are also multiple key rings for all your keys. Snaps securely shut. 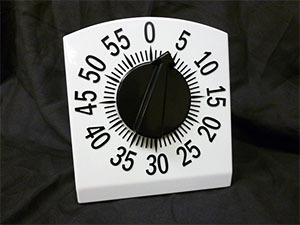 The low-vision tactile timer had a large 8″ diameter face. The face has tactile bumps for every 5 minutes. It comes with an attached stand and will ring 15 for seconds. No batteries are required. 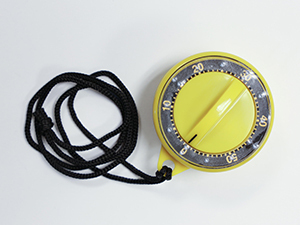 This 60-minute mechanical tactile timer features high contrast yellow on black. It has tactile markings indicating 5-minute increments. It comes with a nylon cord and a magnet on back. 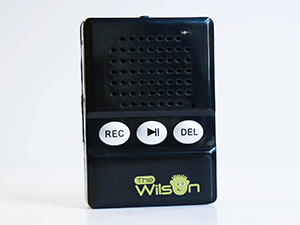 The Wilson is a simple-to-use audio recorder. It features three large tactile buttons to play, record or delete messages. Has up to 12 recording hours with volume control. Its small size is perfect for your pocket or purse. 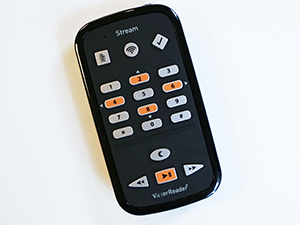 The Victor Reader Stream is a versatile, pocket-sized personal listening device. The Stream can hold NLS books, podcasts, word and text documents, music and audio recordings. It has WiFi capability, clock, built-in speaker, earbuds, high contrast buttons with tactile numbers. Second Sense recommends this device for recording class lectures.